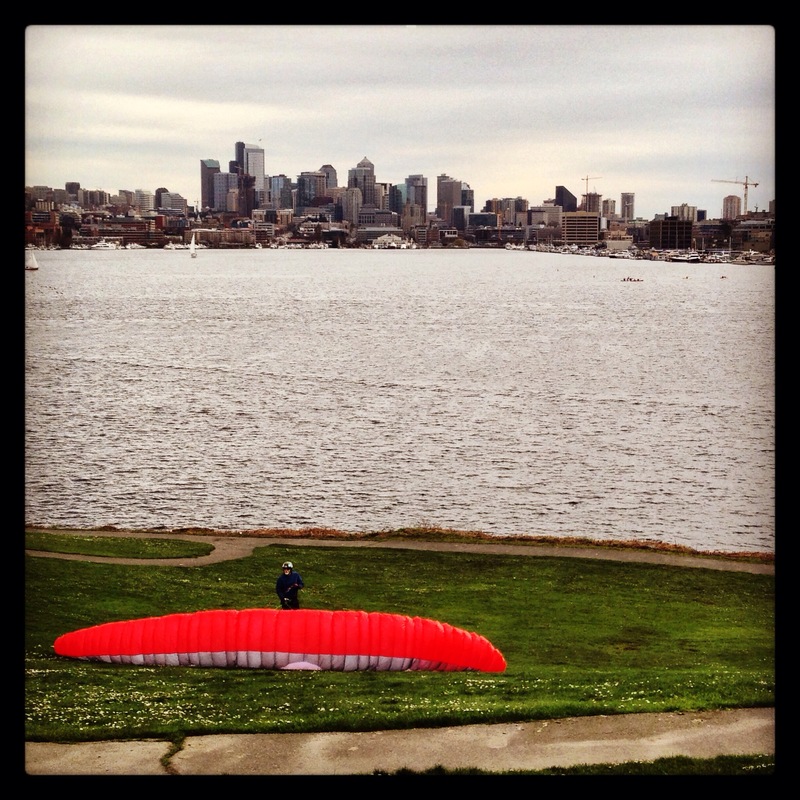 There’s not a lot of upward winds on the tiny mound that is Gas Works Park. But it’s windy enough that this guy might be on the something. He is able to inflate the glider, get stable, but every time he tries to lift off it finally drops back down. Reminds me of the time I used to paraglide back in India and it’s a very meditative experience as you sit and patiently wait for the wind to pick up or sometimes just go home if conditions aren’t right. But you typically do this on a high enough ridge. I trained on a 300ft hill and “graduated” to 1000ft ones. That’s hardly nothing for a pro, but I am still at a beginner level. We are all rooting for him here. May the force be with you.